Last week we reported about TVS Star City+ Gold Edition launch by TVS Motor on account of its first anniversary. Since its launch in the year 2014, TVS StaR City+ has established itself as one of the most stylish motorcycles in the 110cc segment. The Star City+ bike has also grabbed the prestigious Bike of the Year award this year, making it the No.1 110cc motorcycle in India. In order to celebrate this special occasion, TVS Motor has released the special Gold Edition of the bike. Now there is a new advertisement from TVS Motor that promotes the launch of gold edition bike. 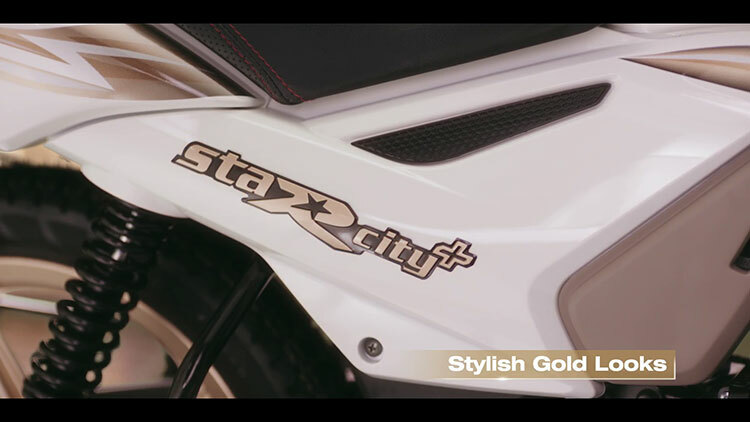 The objective of the new advertising campaign for the launch of Star City+ Gold Edition is to announce the launch of its aspirational bike, in a style and manner it deserves. The ad campaign is created by McCann which is based out of Bangalore. The on-going festive season in India further attracts people to buy things which are made of gold. 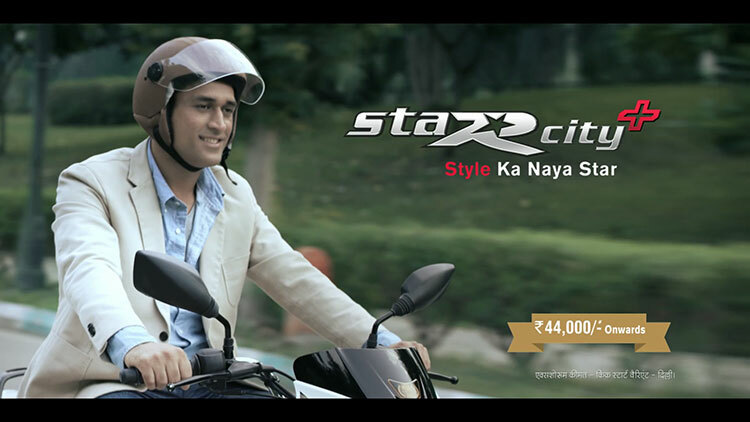 This new TVS Star City+ TV commercial is directed by Ashim Ahluwalia of Future East Films. Creative: Ashwin Parthiban, Ketan Deshpande. Business: Harish Krishnamurthy, Anand Ganesh, Ajay Lakkur, Jeflin Hashim.